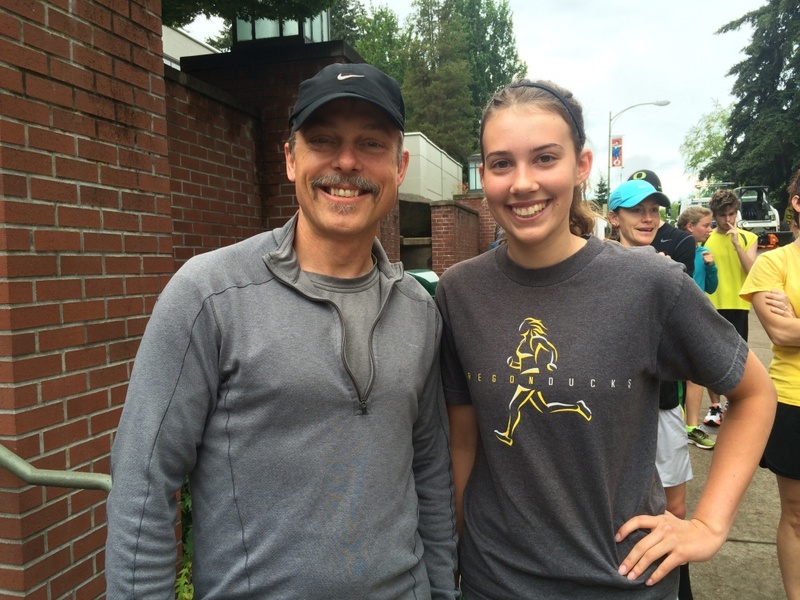 Makenna Pennel likes running, and she wants to conduct research when she begins her studies at the University of Oregon in the fall. So when she heard about the Run with a Researcher program taking place most mornings during the Olympic Trials, she knew she had to be there. The runs, which follow one of three routes on and around campus, are led by UO professors and have been attracting around 60 runners each day during the trials. “I thought this sounds like the perfect combination of two things I love,” she said. Pennel, a graduate of Triangle Lake High School in Oregon’s Coast Range, is one of five incoming freshmen to be awarded a Stamps Scholarship, among the most prestigious and generous aid packages offered at the UO. The scholarships cover tuition, room and board for four years of undergraduate study and provide up to $12,000 in enrichment funds that help students pursue study abroad, internships and other experiences. They go to the most high-achieving Oregon high school students. Pennel plans to study chemistry, and she has a particular interest in nanotechnology. When she heard Jim Hutchison was among the professors leading the morning runs, she knew she had to be there. A professor of chemistry and biochemistry, Hutchison links green chemistry to the development of new processes and materials, including deFUNKit, a product he helped develop that prevents “athletic stink” in workout clothes. “He’s really into nanotech, and that’s one of my emerging interests right now,” Pennel said. “I wanted to meet him and talk about his work and see if I might be able to get in there” in his research lab. Pennel ran track and cross country in high school, but now runs for fun and to relieve stress. She knew she couldn’t miss an opportunity running with a researcher like Hutchison. “This is the coolest thing ever so I knew I had to do it,” she said.